Architect Arne Henriksen refuses to be easily typecast; his vocabulary is rich, versatile and often surprising. In spite of his relatively small office and a correspondingly small production, Arne Henriksen has established himself as one of the most influential Norwegian architects of his generation. 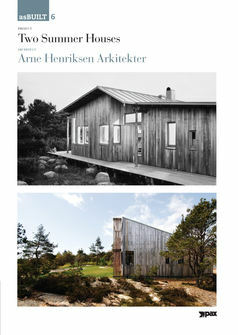 The two summer houses presented in this book are typical of Henriksen’s work in the sense that both represent site- and program-specific architectural investigations.